Ok, we are down to day 16 aggghhhh! And this means we can reveal the final 13 for bridalNEXT! 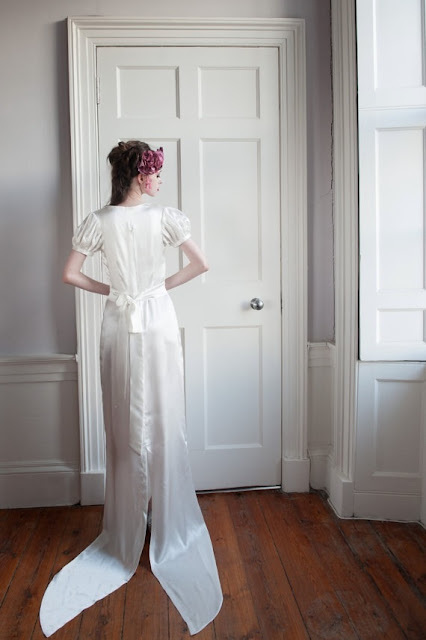 London - to be showcased at the Truman Brewery on 19, 20, 21 April 2013.
bridalNEXT! London will be judged by Victoria Joy of You and Your Wedding, the wedding mag with the highest circulation in the UK, Alexandra Merri of the fashion-led Bijou Bride blog and the mighty Ruby + Diva online eclectic bridal boutique. 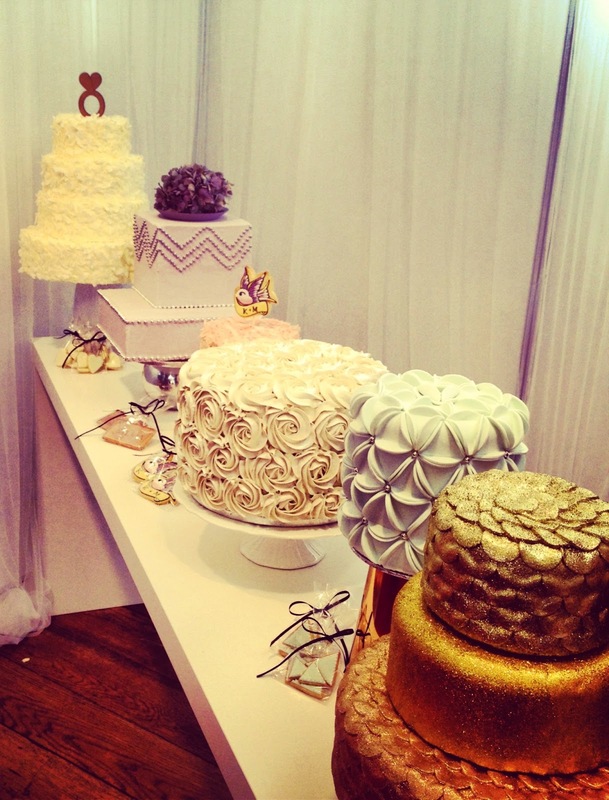 The categories are The Dress, The Accessories, The Cake and The Stationery. The chosen 12 will exhibit at the fair as well as being shown in some sumptuous fashion shows on the Saturday and Sunday. We are still working out how to show stationery and cake but we like a challenge! The judges will chose a One to Watch from each category who will win the opportunity to be stocked in the Ruby + Diva boutique. We absolutely love all of them, gosh we do not envy the judges... but enough about what we think take a look for yourselves. Corrie Nielsen is the London-based fashion designer, who launched her own fashion label in 2011 and debuted at London Fashion Week AW11. Having playfully experimented with dressmaking as a youngster, Corrie began her education at London College of Fashion studying towards an Art and Design foundation diploma, which inspired her to build upon her talents at Central Saint Martins. At the heart of the Corrie Nielsen philosophy, is the distinct use of structure, perhaps partly influenced by her American sculptor father’s work. Her appreciation of form is evident in her creations, which display three- dimensional shape through the use of box pleating and sculpted volume and has already got a celebrity following having been seen on Florence Welch and Kelly Rowland! Fashion foward brides are you ready to have your boundaries pushed! Olivia Tarpey is an emerging talent on the London fashion scene, dividing her time between her homes in London and Cali, Colombia her womenswear designs bring a touch of sensuous Latin romanticism to English shores. Officially launched, into bridal in late 2011, Olivia Tarpey’s spring/summer 2012 prêt-à-porter collection features hand-painted designs on silk, ruffles and ruching and she is becomign known for her work in couture backless gowns that include intricate beaded edging and hand-made fabric flowers. Lizzie O makes one-off pieces of vintage kimono fabric sourced from fabrics made between 1930 and 1970. The inspiration for her label is her lifelong fascination for Japan and, in particular, an enduring love of Japanese kimonos and the world of the Geisha. After finding some vintage kimono fabrics, she found her calling, was inspired and wanted to make something from them for women of today to get the opportunity to enjoy them and get a sense of the history of the women who wore them. She named her label, Lizzie O, in memory of her much-missed grandmother, Lizzie Onions. Her surname was Onions but she insisted on pronouncing it ‘O’Nions’. Cute! Subtle and beautiful, she has also designed a small collection with a 1930s look with a modern twist to complement her one-off pieces. Rouge Pony is a small custom base accessory company in England, shaped on the idea of its clients being able to find solace in a unique and individual form of expression. By crafting each piece from rare discoveries, antique findings and unique trinkets. With inspirations and materials found from our great mother earth, no two pieces are alike. They say 'The natural exquisiteness of this world grants us with the ability to create from the most raw and natural platforms available.' Started in 2011, Rouge Pony is a reminder of the simplistic things in life with the tag line, 'I design for dreamers'. After training as a milliner for 3 years, Myriam Lengline graduated from Kensington & Chelsea College in June 2012 and launched La dame au beret. It is millinery that focuses on bespoke handmade hats, headpieces, headbands and haircombs, made following traditional couture techniques and using antique/vintage fabrics, ornaments and intricate trimmings. Highly influenced by the bygone eras of style and elegance (1880s-1950s, with an emphasis on ’Art Nouveau’ and ’La Belle Epoque’) she also has a keen interest in folk/ethnic costumes and alternative subcultures from the 70s and 80s. These styles infuse her work with original features, creating a mix of the classic theme “something old, something new”, “Fairytale Drama” and ’Dark Fantasy’. Inspired by the simple beauty of nature, Ellsewhere’s headwear and accessories are designed to imbue every bride with a feeling of serenity and elegance and enchantment. And a little bit of ethereal mystery. Ellsewhere’s most exciting accolade has been creating ’vintage’ inspired headwear for the actress Kate Winslet to complement outfits designed by McQueen and Stella McCartney. 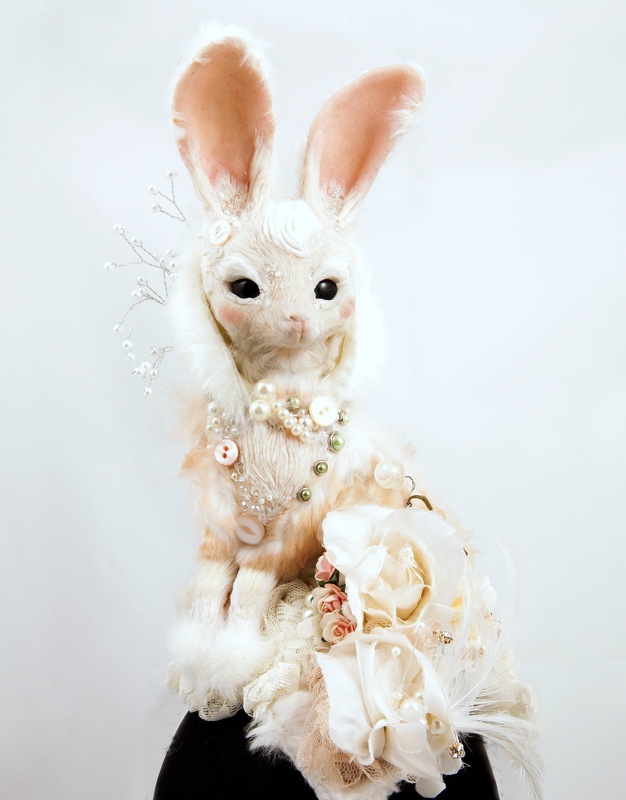 The pieces are intricately designed and woven with pearlescent beading, antique jewellery, delicate flowers and silicone sculpture. Through a mixture of carefully chosen typography, pretty illustrations, hand lettering and pattern, Lucy Clark designs and makes beautiful: cards, eclectic personalised stationery, paper goods and prints that are perfect for an original wedding, thoughtful gift or special celebration. She also offers event design and ‘on the day’ styling services to inspire and enthuse, believing your day should be beautiful, relaxed and a representation of you. She works with a serious passion for design and paper in a loft with her sister and her cat. 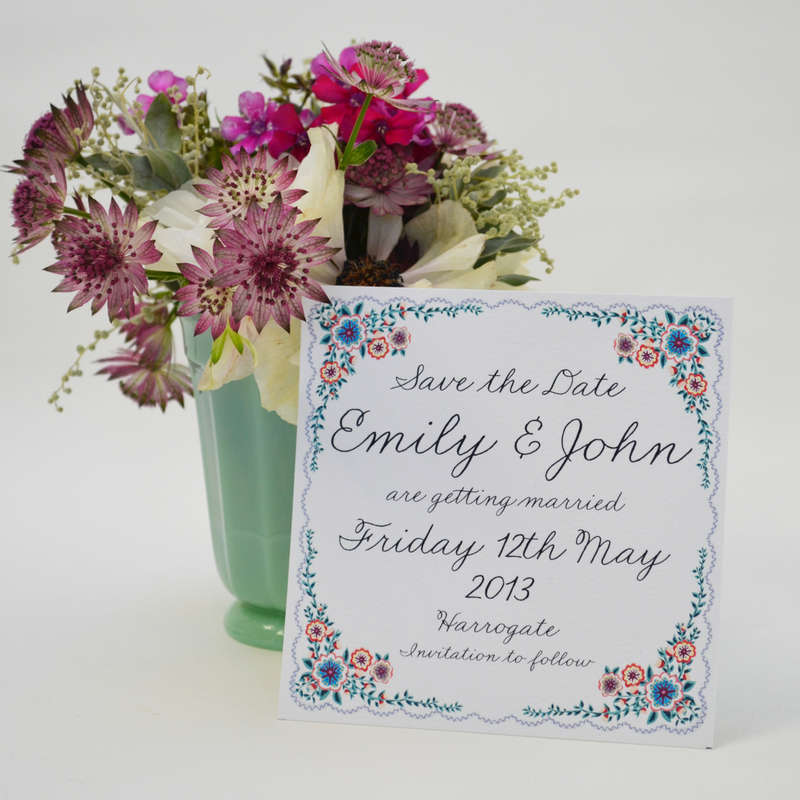 London-based, Love Illustrated is run by Dave and Sian, who got married in 2010. They got fed-up trying to find a unique and affordable wedding invites, so created our own. 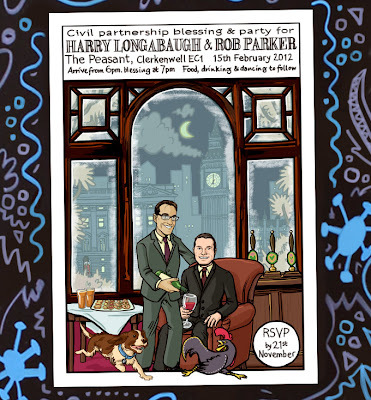 Their wedding was featured on numerous blogs and magazines and people began asking whether Dave could draw their invites too, so we they okay, and set up shop in 2011. 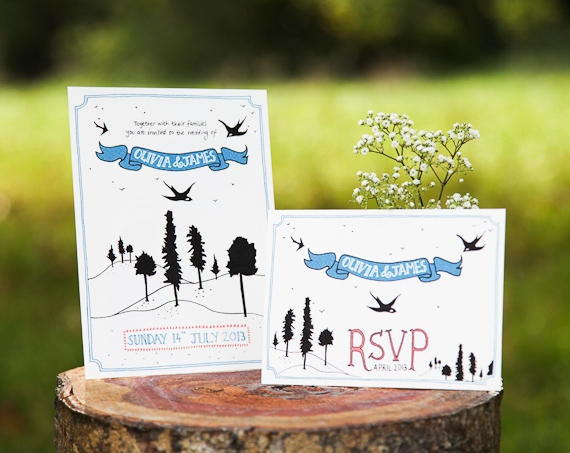 Pinar Djemil is a designer and maker in South London, creating hand drawn wedding stationery inspired by woodlands, mountains, oceans and the air of love! Each piece is bespoke based on the ideas of the specific wedding. She previously had a full time career as a freelance 3D Product designer and model maker but after getting married in the summer of 2012 and she got hooked onto weddings and started her own hand drawn illustration and wedding stationery company a few months ago. Dolce Dolce are a bespoke Cake & Confections Boutique who are just 8 months old. 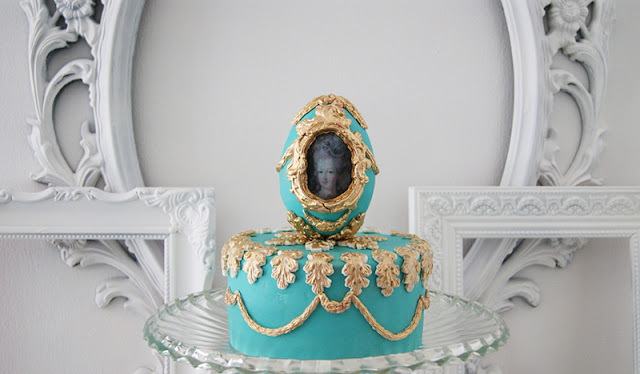 They like to think out side the box and draw great inspiration from the baroque era as well as other objects that have been portrayed as beautiful over time such as oil painting, silks, jewelled eggs, exotic birds, golden apples, gilded leaves and butterflies. They have already been featured in Harpers Bazaar and Vogue and top we can definitely see why. Kaleidoscope Bakery offers custom designed iced cookies, cupcakes, macaroons, and of course wedding cakes with an edge. From Mexican Day of the Dead biscuits to a box of cigarette cookies made for Shane McGowan, these guys definitely put the cool into cake design. 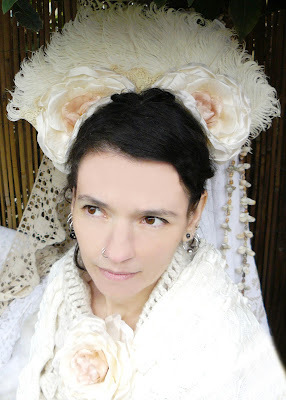 P-J's approach is to provide every couple with quality design and a high level of craftsmanship, believing every wedding is as individual as each couple, and during consultation she sketches ideas that may use skills in delicate piped lace, handcrafted sugar flowers, hand-painting and applique patterns. 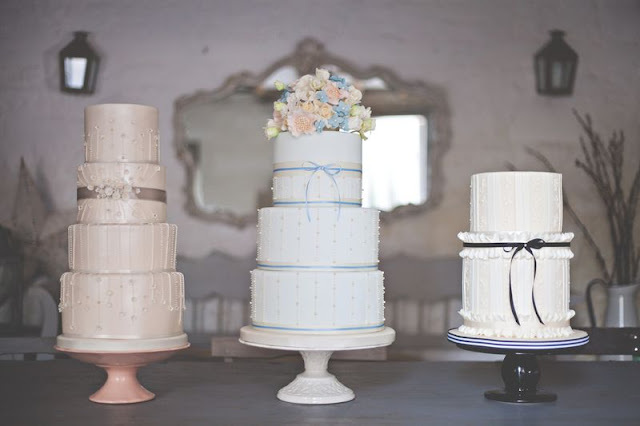 She find herself drawn to vintage costume or contemporary fabrics for inspiration, but whether she is using a spectrum of delicate tones , or a more dramatic look, she always strives to make a elegant cake. Her business is not named after her, but her grandmother, now 92, who she still blames entirely for her sweet tooth!